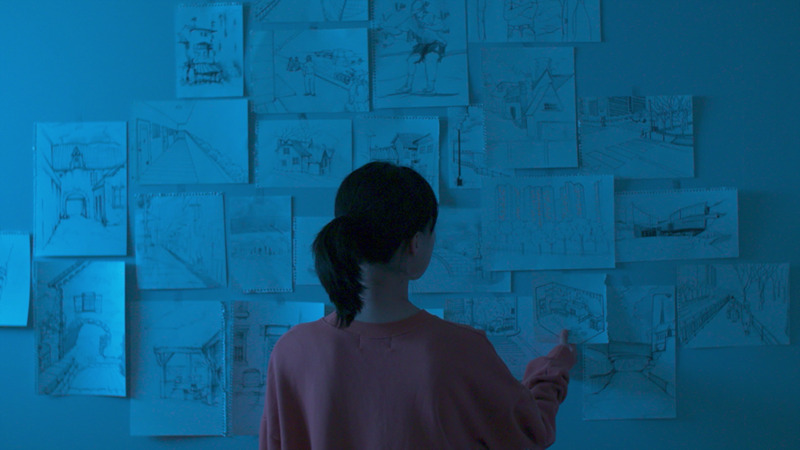 Hae-rang is preparing to graduate from her production design class with just one term left to complete at her university. As she contemplates what the next step will be, her mother drops an unexpected surprise: it's time for her to leave the nest. She and a friend decide to move in together, but owing to her desire to be financially independent, she takes on a barista job and low-paying work on a feature film, while she still needs to focus in class until graduation day. Graduation focuses on many of the same themes as its predecessors, but unlike them it avoids being overly negative, as it presents a character who takes life's hardships in her stride and does her best to get by, rather than engage in endless soju-filled self-pity sessions. The film is clearly inspired by fact and director Hui delivers a remarkably level-headed and concisely scripted story for someone her age. Though her voice can be heard, it isn't quite developed, but with someone who handles the basics as well as this, there's a good chance that she'll go far. Reminiscent of a young Doona Bae, Lee Tae-kyung is an endearing and easy-to-root for lead. It's far from her first role, as she has appeared in many shorts and had a supporting role in Kim Ui-seok's After My Death, the New Currents Award winner at last year's Busan International Film Festival, but it's the first time for her to take on a lead role in a feature and she knocks the opportunity out of the park. Convincingly portraying an independent, charming and yet at times tempestuous young woman who is still figuring who she is and what she wants to be, the effortlessly natural Lee will prove a great tool for many filmmakers, hopefully in the near future. Easily one of the highlights at Jeonju this year, Graduation is a thoroughly watchable spin on common local indie themes and serves as proof of great things to come for its young director and star. Graduation focuses on many of the same themes as its predecessors, but unlike them it avoids being overly negative, as it presents a character who takes life's hardships in her stride and does her best to get by, rather than engage in endless soju-filled self-pity sessions.